When Toy Story Land opens this Saturday, guests will be able to enjoy some new entertainment in addition to the two new attractions. First, guests will be able to enjoy Sarge and the Green Army Man Drum Corps. Sarge and the Green Army Man Drum Corps will march through the land several times a day and stop to play “Sarge Says” with guests. Now for some new details. According to multiple Cast Members, a few Green Army Women have been spotted walking around, getting ready for the land’s debut on June 30th. While we’re not sure what role the Green Army Women will play in the land, we’re excited to see that they’ve made their way to Andy’s Backyard. A final bit of info is perhaps a little more obvious, given the press image put out by Disney below. 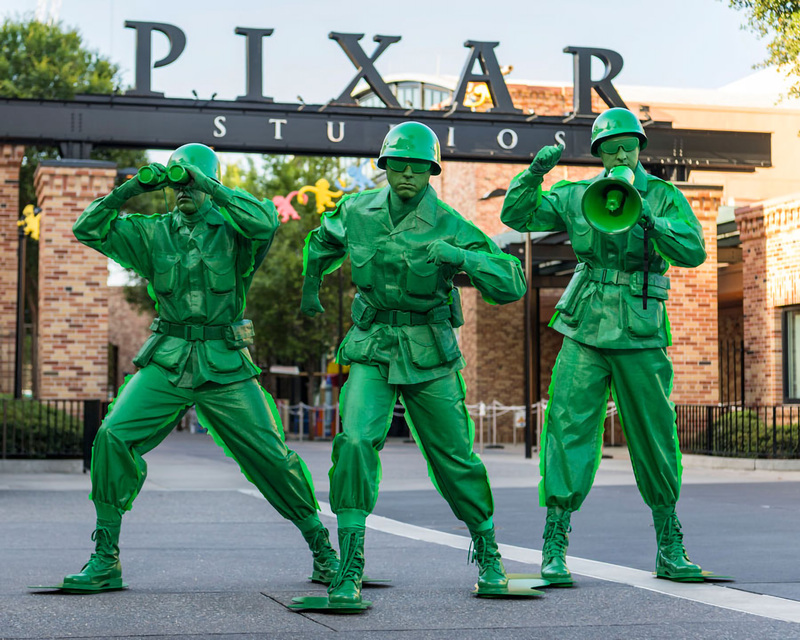 We’ve been told that all of the Green Army Men and Women will have their faces visible to communicate with guests and make their visit to Andy’s Backyard extra special! As always, this should be treated as a rumor until Disney confirms the details.